"...one of the quickest and surest centre shots to be found." 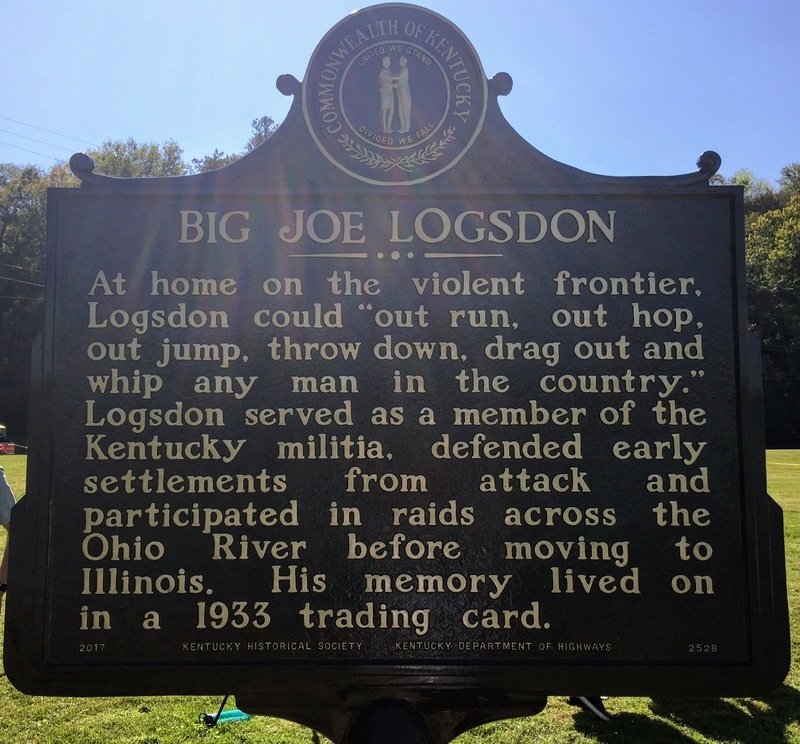 Historical Marker #2528 commemorates the life of Joseph "Big Joe" Logsdon, who carved out a lasting legacy on the Kentucky frontier. Joseph Logsdon, who grew to earn the nickname "Big Joe," was born in Virginia and moved to the Kentucky frontier as a young man. The path his life took resembled the broader currents of westward migration that shaped the country in the late eighteenth and early nineteenth century. Logsdon moved toward the front of the wave of migration, settling first in eastern Kentucky, then to the west along the Ohio, before moving further west to Illinois. 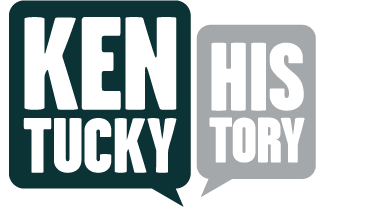 During his years in Kentucky, he gained fame for his part in the conflict for control over the Bluegrass state. Logsdon was part of the milititarized settlement effort through which white Americans asserted their ownership of the land, often against the wishes and despite the best efforts of regional Native American groups. Two incidents stand out from Logsdon's life, even at more than two hundred years distance. In the first, soon after he arrived in Kentucky, Big Joe found himself alone and ambushed by two Native hunters. Logsdon was shot through the pectoral muscle, but managed to kill one of his attackers with the man's own hunting knife and crippled the other. 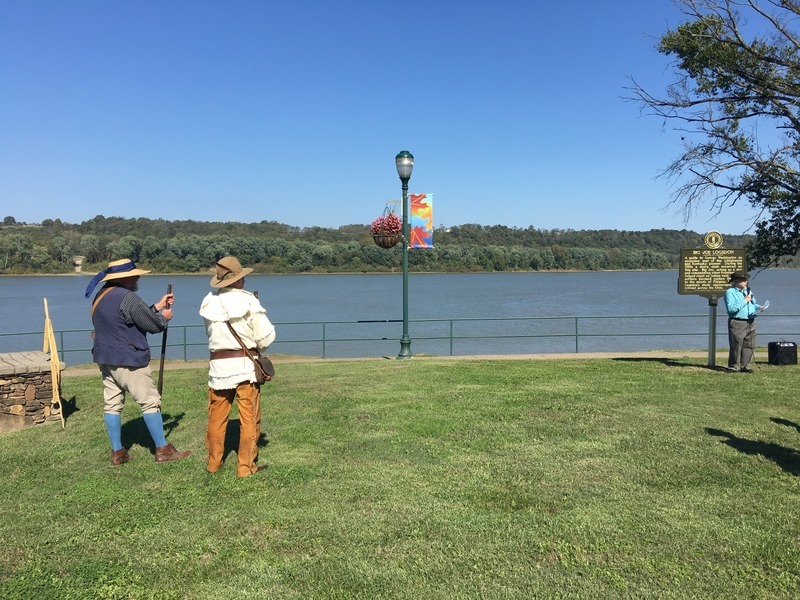 In the second, Big Joe acted as a scout and militia leader when Indian hunters raided across the Ohio River near present-day Brandenburg. After repeling the raid, Logsdon took aim at the retreating Natives, and in particular at an individual wearing a redcoat, presumed to be of English origin. Big Joe's shot flew true, crossing the broad river to strike the raider in the offensive coat. The site of the miraculous shot was near the location of Historical Marker #2528. The marker commemorating Big Joe's life began as a research project by Sarah Warner while studying at Eastern Kentucky University. She passed her findings along to her father, Craig Warner, who guided the project through the application process with the assistance of Gerry Fischer, President of the Meade County Historical Society. 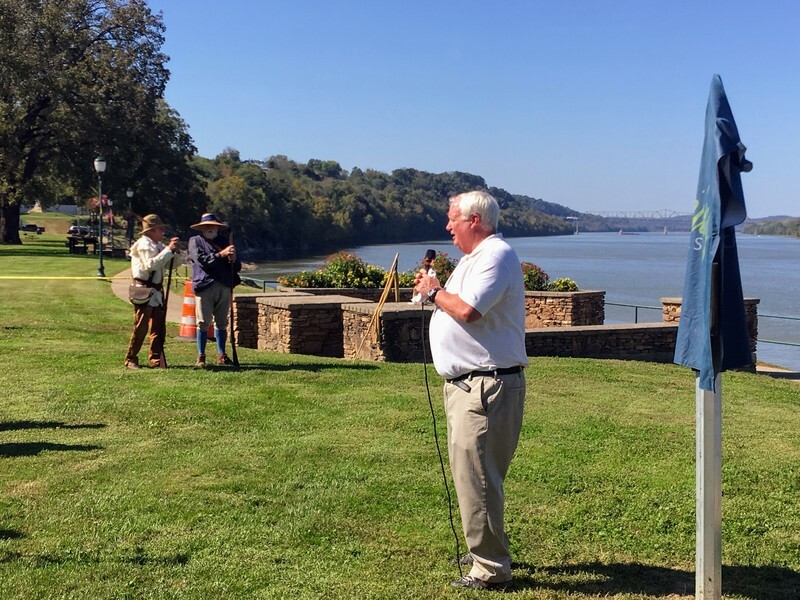 Mr. Warner and Mr. Fischer organized a nice dedication ceremony, which included remarks by Brandenburg Mayor Ronnie Joyner, Charles Logsdon, and Warner, as well as the presentation of Kentucky Colonelcies to Sarah and Craig Warner for their work on Kentucky history. 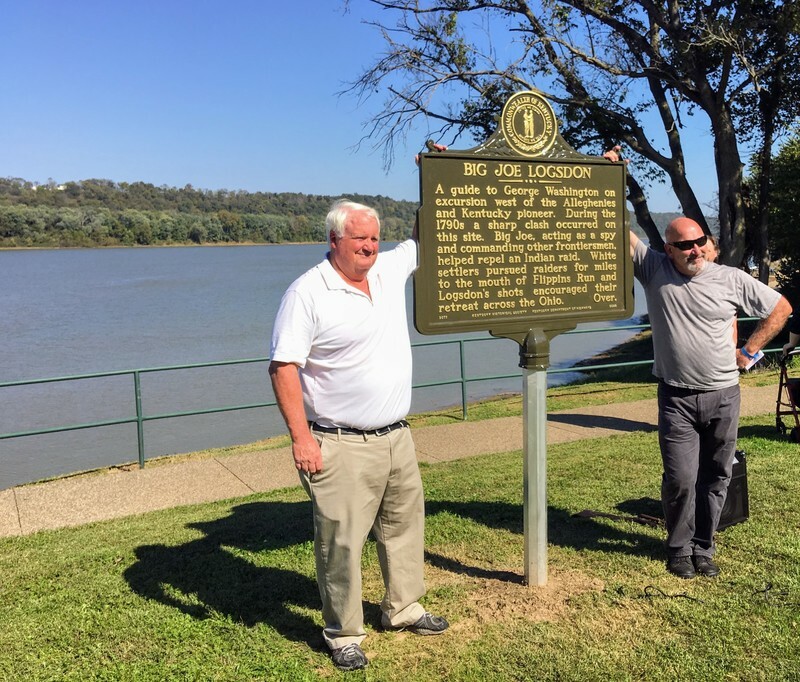 Historical Marker #2528 was dedicated October 14, 2017.
retreat across the Ohio. Over. whip any man in the country." in a 1933 trading card. 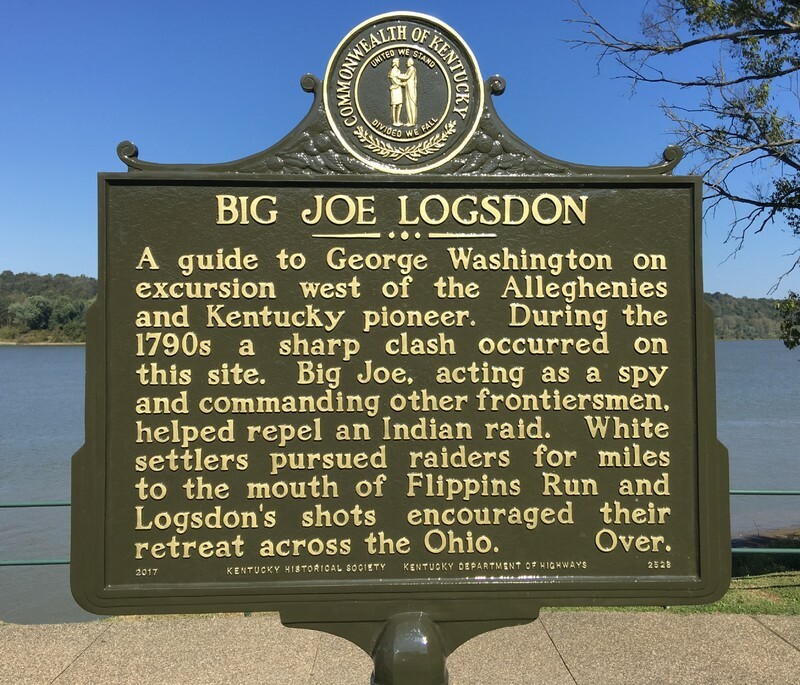 Andrew Patrick, “Big Joe Logsdon,” ExploreKYHistory, accessed April 22, 2019, https://explorekyhistory.ky.gov/items/show/801.